We’d love your help. Let us know what’s wrong with this preview of The Partner Track by Helen Wan. In the eyes of her corporate law firm, Ingrid Yung is a "two-fer." As a Chinese-American woman about to be ushered into the elite rank of partner, she's the face of Parsons Valentine & Hunt LLP's recruiting brochures--their treasured "Golden Girl." But behind the firm’s welcoming façade lies the scotch-sipping, cigar-smoking old-boy network that shuts out lawyers like Ingrid. To compensate, Ingrid gamely plays in the softball league, schmoozes in the corporate cafeteria, and puts in the billable hours — until a horrifically offensive performance at the law firm's annual summer outing throws the carefully constructed image way out of equilibrium. Scrambling to do damage control, Parsons Valentine announces a new "Diversity Initiative" and commands a reluctant Ingrid to spearhead the effort, taking her priority away from the enormous deal that was to be the final step in securing partnership. For the first time, Ingrid finds herself at odds with her colleagues — including her handsome, golden-boy boyfriend — in a clash of class, race, and sexual politics. 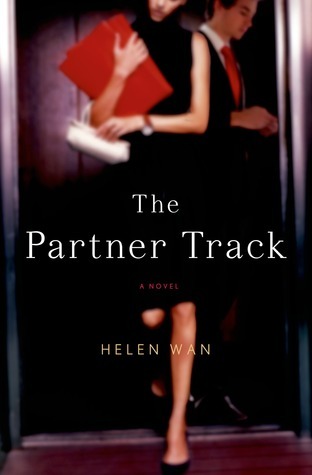 "Smart, incisive, and fast-paced, THE PARTNER TRACK is a sparklingly readable look at the inner workings of a Wall Street law firm -- from the vantage point of a brainy, beautiful and self-doubting Asian-American associate. Wan has the remarkable ability to make you feel as if "you are there" -- inside the law firm, inside protagonist Ingrid Yung's head. I did not want to put this book down." –Susan Cain, New York Times bestselling author of "QUIET: The Power of Introverts in a World That Can't Stop Talking"
"A wholly engrossing behind-the-scenes look at real life behind the pomp, power and prestige of a high-powered law firm that wants to still play by a 1950s rule book." –Emma McLaughlin & Nicola Kraus, co-authors of "Citizen Girl"
"Behind Helen Wan's wit and sparkling prose is a poignant and at times, painfully honest tale of loyalty, ambition and sacrifice. Funny, fragile, sometimes bold, often unsure, Ingrid Yung is one of those unforgettable heroines that you actually miss, like a dear friend, when the story’s over." –Ann Leary, New York Times bestselling author of "The Good House"
"What a terrific debut novel. Ingrid Yung is a fresh, funny, and fearless heroine. 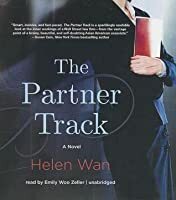 Her razor-sharp wit and keen observations of gender, race and class politics in corporate America make THE PARTNER TRACK an entertaining, engrossing and ultimately deeply compelling read." –Cristina Alger, author of "The Darlings"
To ask other readers questions about The Partner Track, please sign up. I picked this novel up from the bargain bin at Barnes and Noble because I could not get the wifi to work in my hotel room while at a conference and didn't want to be bored with nothing to do. I expected it to be breezy and lightweight, but it was surprisingly well written, reflective and enjoyable, to the extent that sexism and anti-diversity sentiments can be enjoyable. This was an interesting story about discrimination from the point of view of Ingrid Yung, a Chinese American corporate lawyer I picked this novel up from the bargain bin at Barnes and Noble because I could not get the wifi to work in my hotel room while at a conference and didn't want to be bored with nothing to do. I expected it to be breezy and lightweight, but it was surprisingly well written, reflective and enjoyable, to the extent that sexism and anti-diversity sentiments can be enjoyable. This was an interesting story about discrimination from the point of view of Ingrid Yung, a Chinese American corporate lawyer trying to make partner at a Manhattan law firm. Her former secretary had told her, "I don't like sushi, no offense." The senior partner demanded that she be on the revitalized Diversity Committee, for damage control, after a racist parody was performed by some associates at a firm outing. A lady approached her at a coffee shop and told her to give her a call because her friends needed a good nanny who "spoke Asian." I read the book in two days because I wanted to know what would happen next and how she was going to balance assimilation, ambition and self-identity and keep her sanity intact. Mild spoilers ahead. I adore legal satire even more than Silicon Valley satire, and this was a fun fairytale that packed a surprising punch. At first I just really enjoyed the dramatized details of Big Law life. For instance, Ingrid dissects the power dynamics of one's behavior in the law firm dining room - but in what universe would you be judged for any action other than your failure to take your food right back to your desk and resume billing, you lazy goddamned associate? The idea of white s Mild spoilers ahead. I adore legal satire even more than Silicon Valley satire, and this was a fun fairytale that packed a surprising punch. At first I just really enjoyed the dramatized details of Big Law life. For instance, Ingrid dissects the power dynamics of one's behavior in the law firm dining room - but in what universe would you be judged for any action other than your failure to take your food right back to your desk and resume billing, you lazy goddamned associate? The idea of white shoe lawyer league softball is also really fun but probably results in fisticuffs. And the perks of firm life are much more reminiscent of pre-Recession-era Big Law, though this would be a far less fun read if, hypothetically, there were only Yoplait and cheese sticks in the pantry, and the branded notepads just had firm stickers covering the Office Max logo. I'm just saying. Some details are absolutely true though, and those are the very worst ones. Clients mistaking female attorneys for assistants. Elevator eyes from male colleagues. Being called a two-fer at every opportunity. That entitled, Brooks Brothers-wearing kid who somehow works with you because his dad knows some big partner. Being the sleep-deprived, disheveled, sick lead on a project and picking up the slack for that entitled Brooks Brothers-wearing kid, only to discover him drinking Scotch in the partner's office right before a crucial deadline. Even the central plot drama - a proverbial blackface incident by privileged male lawyers during the firm's summer event; no fall-out - how utterly easy is this to imagine? Ingrid, the perfect Asian-American senior associate protagonist, makes a lot of questionable drank-the-Kool-Aid choices, and the story is flawed and predictable. There's fraternizing, yelling, sabotage, burned bridges, mentions of Above the Law (tee hee), poaching, eleventh-hour heroics and revenge. But despite the melodrama, I kept having visceral reactions - reading about this specific brand of law firm hell even in a fictionalized, dramatic form literally made my heart pound. In particular, there's a really sad scene where Ingrid thinks of all the war stories traded by her minority lawyer friends, and what her choice to be a perfectly palatable minority says about her. I damn near cried at several points (and also at the part near the end when her mom says simply, "I just wanted you to be happy"). This was a really satisfying book. Wan does a great job of taking us behind the scenes in the lawyer's world. I really loved how she wove in the experiences of being a minority and a female in that setting. Although some of the childhood experiences with racism and the beginning interactions with her goal-oriented parents were pretty generic (maybe because I've experienced them myself or heard about them plenty), the actual character of Ingrid seemed very multi-dimensional. I enjoyed how Wan set This was a really satisfying book. Wan does a great job of taking us behind the scenes in the lawyer's world. I really loved how she wove in the experiences of being a minority and a female in that setting. Although some of the childhood experiences with racism and the beginning interactions with her goal-oriented parents were pretty generic (maybe because I've experienced them myself or heard about them plenty), the actual character of Ingrid seemed very multi-dimensional. I enjoyed how Wan set up Ingrid's desire to work in and be part of New York City. I try to rate my books based on readability. When one comes along that I literally don't put down until I'm done, it gets a 5. This is a phenomenal debut book, one that should be read by every pre-law and law student as well as anyone who liked "I Don't Know How She Does It," by Allison Pearson. Helen Wan has written a cohesive, tone-perfect, and sharply-observed novel (a roman a clef?) about a female Asian lawyer on the M&A partner track at a fictional New York law firm. Her sketches of the lightly-veneered minefields during the firm's country club outing and its softball games are alone worth the price of the book This is a phenomenal debut book, one that should be read by every pre-law and law student as well as anyone who liked "I Don't Know How She Does It," by Allison Pearson. Helen Wan has written a cohesive, tone-perfect, and sharply-observed novel (a roman a clef?) about a female Asian lawyer on the M&A partner track at a fictional New York law firm. Her sketches of the lightly-veneered minefields during the firm's country club outing and its softball games are alone worth the price of the book. And of course, as a lawyer she brings a wholly credible framework. There are insider chunks--like reference to analysis from the Wall Street Journal and Oil and Gas Investor--Wan gets exactly right. I have only three details, and these are tiny. First, the omnipresence of Blackberrys in the story dates it since Blackberry is no longer the electronic business toy of choice. Second, in what I have seen in energy M&A deals, a two-person team as described in The Partner Track (and it is really a one-person team) is too small. (From a fictional perspective I understand the desire to limit the number of characters.) Third, because I write both fiction and non-fiction centered on the energy business, it jumped out at me that Binney, the firm to be acquired, was referred to on page 13 as a "clean energy upstart" and on page 27 as an offshore drilling company. An offshore drilling company as acquiree makes more sense and is more interesting/credible so it's unclear why it was mislabeled on page 13. These are all minor points in an engaging book. Wan writes heartfelt scenes with the protagonist's parents. Without giving away the plot, she also manages excellent shape-shifting with four or five characters as their foibles are revealed. Thank you, Helen Wan, for penning this book. 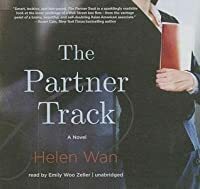 I wasn't sure what to expect, but I stumbled across "The Partner Track" in the new fiction rack at the public library. The title caught my eye, as a new associate, and the Asian surname enticed me to pick it up, as it evoked memories of my wonderful Asian-American authors course in my senior year of college. This is the type of book every individual should read. It shows real-world, everyday experiences of a minority (especially a minority woman) in Ame Thank you, Helen Wan, for penning this book. This is the type of book every individual should read. It shows real-world, everyday experiences of a minority (especially a minority woman) in America in an accessible way: through a story in which you're genuinely rooting for the main character and, at least for me, identifying with the experiences Wan writes. The perspective, let me say that I do not normally read these types of books. Fiction, nevermind women's fiction. In fact, I decided to read it because it was the kind of book I would never read. I read it for perspective. And perspective, I was given. This book was pretty insightful. Normally when I read books, I relate with the main character. This book had a character or two I could relate with as well. They were described as "...I don't think he's racist, just stupid". This book gave good insi The perspective, let me say that I do not normally read these types of books. Fiction, nevermind women's fiction. Ingrid Yung is on the partnership track at her prestigious NYC law firm, and thinks she has a good chance of being the first "woman of color" to make it. All of her other women and minority friends at the firm have left or are leaving to pursue other prospects--including motherhood. She doesn't think of herself as a "woman of color" very often, though it is always in the background, but when there is a rascist performance at the firm's yearly party, she suddenly finds herself on the diversity co Ingrid Yung is on the partnership track at her prestigious NYC law firm, and thinks she has a good chance of being the first "woman of color" to make it. All of her other women and minority friends at the firm have left or are leaving to pursue other prospects--including motherhood. She doesn't think of herself as a "woman of color" very often, though it is always in the background, but when there is a rascist performance at the firm's yearly party, she suddenly finds herself on the diversity committee, and having to navigate some tough choices, including romantic overtures by one of her fellow associates up for partnership. Quick read that reminded me of many of the aspects of big firm life that made me miserable for so long. "What bothered me most - the single worst thought that I kept turning over and over in my mind - was that I was the one who'd let this happen. I had no one to blame but myself. I had allowed myself to be duped…. I had completely bought into the myth of a meritocracy. Somehow I'd actually been foolish enough to believe that if I simply kept my head down and worked hard, and did everything, ever Quick read that reminded me of many of the aspects of big firm life that made me miserable for so long. I wasn't expecting to like this book as much as I did. It was just something I picked up on my travels...Sometimes you get lucky, as this was not only a fun and engrossing read, it also gave me insight into the competitive legal world inside a New York law firm. The characters were complex and I liked how Helen Wan included some insight about Asian American identity in her protagonist, but didn't make that the focus of the novel. I enjoyed the full arc of the story. I was looking for a quick, enjoyable read on a long weekend with long flights, and this certainly met my requirements! I enjoyed the insight into how big-name corporate law firms function (perhaps with a bit of artistic license), as well as the struggle with being a minority woman in such a firm. The story kept me interested and that is about all one can ask! Ingrid Yung is on The Partner Track. After 8 years working at Parsons, Valentine & Hunt. This could be her year! She could be the first woman and first woman of color to make partner in their corporate department. She basically sacrificed her life to fulfill this dream. Shes single, childless and a woman of color. That’s Ingrid. She is hand picked by a partner to work on a HUGE case. One I found difficult to follow for the most part. But lets start from the beginning. Parsons, Valentine & Ingrid Yung is on The Partner Track. After 8 years working at Parsons, Valentine & Hunt. This could be her year! She could be the first woman and first woman of color to make partner in their corporate department. She is hand picked by a partner to work on a HUGE case. One I found difficult to follow for the most part. But lets start from the beginning. Parsons, Valentine & Hunt is a lawyers paradise or well my lawyer dream. The way to this girls heart is through book and food. As soon as Ingrid walked into the cafeteria I was sold and envious. There may have been a stomach growl. What can I say im odd. The first part of The Partner Track was rather intriguing. -sigh- However in the middle when all the law mumbo jumbo came into play my eyes started to glaze over. I powered through because I ladies and gents am a trooper. Ingrids endless thoughts/statements regarding her gender and race did not help. I was l l that close to creating my own drinking game. The Rules:: Take a shot every time race or gender was brought up in any manor. Should you decide to try this out please PLEASE report back. The outcome should be interesting. There are some moments in the book that resonated with me (such as the times when folks confused the Asian female lawyers or the times that the main character is mistaken for a secretary), and those moments are both illuminating and bittersweet. But the book also portrays the main character as without fault in any of the unfolding events. And the final humiliating straw--the emotional crux of the novel--made no sense to me at all. This is the story of Ingrid, a first generation chinese american who working in the Corporate department of a huge law international law firm. Her dream is to be the first woman of color partner and it looks like she is on track to make that happen. This is the story of how she tries to navigate that last deal before the vote in a world of privileged white men. Although there were some interesting observations about the under the table racism that still exists in Corporate america -- this was a l This is the story of Ingrid, a first generation chinese american who working in the Corporate department of a huge law international law firm. Her dream is to be the first woman of color partner and it looks like she is on track to make that happen. This is the story of how she tries to navigate that last deal before the vote in a world of privileged white men. Thanks for the rec, Heather! Interesting to get a window into what it's like for women (and especially minority women) in the legal profession. I don't know much about that field but some of the dynamics resonated with me in the broader business sense. Quality of prose/dialogue was not amazing but the author's experience as an attorney really shone through to give the story itself credibility. just read the entire book in one sitting. granted i was trying to read it in advance of Helen's talk tomorrow, but it was really quite riveting and good. it's given me a lot to think about. i have thought that i'm not that naive about firm politics, but some of the characters and plot twists seem so realistic and have really challenged my assumptions. love that this book is giving me lots to think about. I adored "The Partner Track." It was such a page-turner--in fact, I kept telling myself I needed to put it down to do some of my own work, but then I couldn't; I plowed through it in two sittings. Ingrid was a beautifully drawn and empathetic character, and I was realy taken in by all of the plot twists and turns. A wonderful piece of writing! I love this book. She did a FANASTIC job of describing the realities of a big New York law firm...she was dead on for so many descrptions of partners, associates and even the cafeteria. I really liked the character...not super lovable but she showed true grit which made me eventually root for her! This is one of my favorite novels ever. Although it's about a female associate at a law firm, the experiences she has will be familiar to any woman working at a professional services firm. This will definitely make you think, though it's still not a heavy read and has a great happily ever after ending. If you've worked in big law and enjoy chick lit from time to time, this falls at the more intelligent end of the chick lit spectrum. The minority/diversity angle of the novel felt a big heavy-handed, but overall this was a quick, enjoyable read for what it is. I am not a big chick lit fan and this is pretty much chick lit. If this is your genre, you will probably like this more than I did. But it was an interesting look at the internal workings of a large NY law firm. Full disclosure, I'm a lawyer myself, but I loved this book. I found it relatable and I appreciated that it felt real and not overly forced. The author's personal legal experience comes through to make for an enjoyable read for lawyers that is both deep and readable. Fun book - especially if you live in the world of law and law firms. Her take on working in the corporate world and the glass ceiling are just a few of the reasons this is a stand out book. Quick read, interesting if you know a lawyer. “What would it be like, I marveled, to go through life so utterly unwary? So wholly certain of your belonging to a place that it was never necessary to consider how your next move would be perceived?